Walking season is in full swing so we decided to make submitting walks (and winning in our prizedraw) much easier! 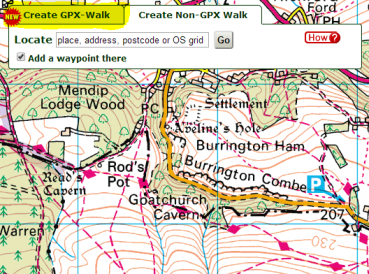 A much improved GPX walk-editor is now available at your convenience. While you can still use the normal walk editor, you can also simply upload a GPX-file and let the editor work its magic. Just click on "Create GPX-Walk" and follow the instructions. Should you need help, click on the red "How?"-button. Happy submitting.